Please click the link above for my BBC Oxford review, broadcast 3rd December. Reviewing “Victor Frankenstein”, “Christmas With The Coopers”, “Mission: Impossible – Rogue Nation” on DVD and looking at the trailer for “Batman Vs Superman”. I also look at events in Oxford and the UK Box Office. David Prever Drivetime Show, Home Entertainment Review, 27th July: reviewing the DVD release of “Clouds of Sils Maria” plus “Horton Hears A Who!” on TV and “Gone Girl″ on streaming. David Prever Drivetime Show, Cinema Review, 31st July: Reviewing “Mission: Impossible- Rogue Nation” and “Hot Pursuit”, plus the UK Box Office and events in the Oxford area. 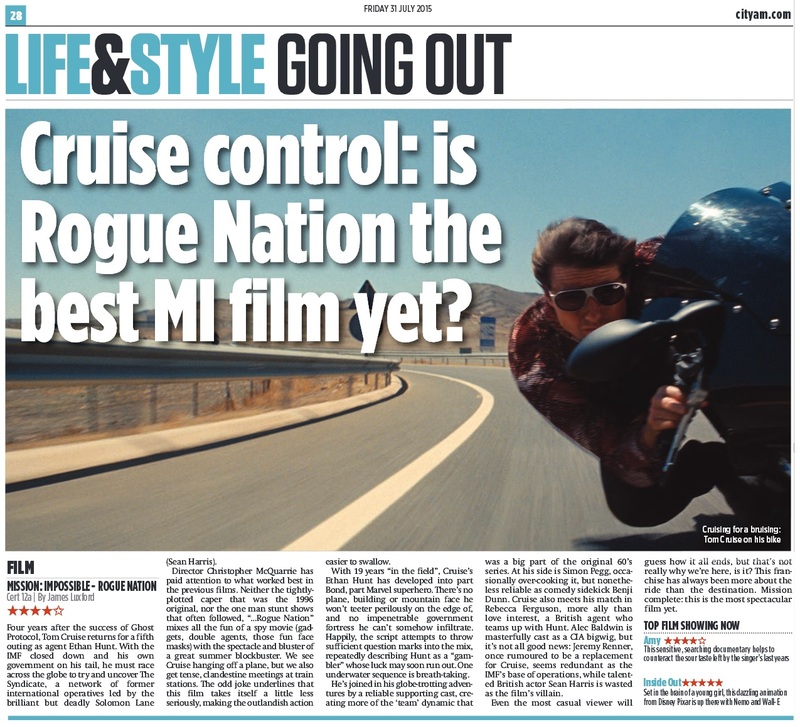 Please click on the images above to read my reviews of “Mission: Impossible- Rogue Nation” and “Beyond The Reach” for CityAM.